According to researcher Bui Trong Hien of Vietnam Academy of Fine Arts, recognition by UNESCO of art forms as World Heritage contributes in encouraging people to maintain, preserve and also use the title to promote such national pride for tourism. 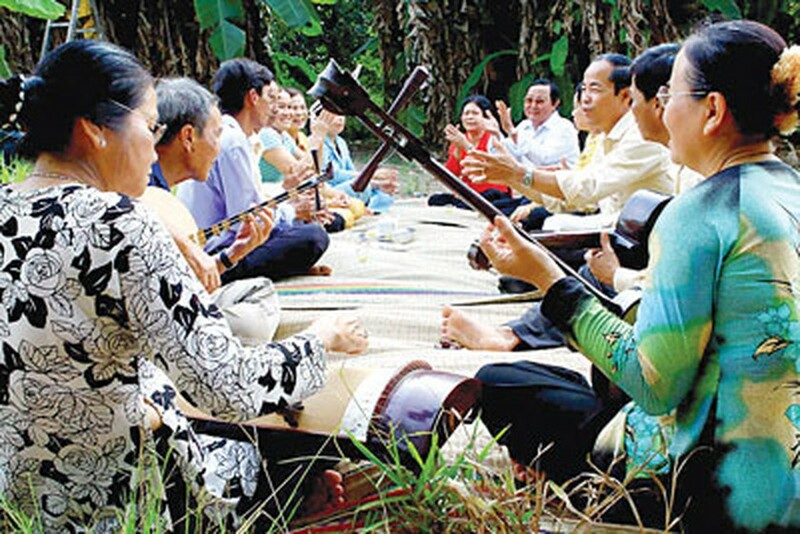 The researcher was speaking on occasion of Don Ca Tai Tu Nam Bo (southern amateur traditional music) being recognized as an Intangible Cultural Heritage of Humanity. Don Ca Tai Tu Nam Bo has strong vitality, a very large audience and is the ‘most performed art’ in the country. This art form has inherited melodies from northern folk opera, Hue chamber music, royal classical opera, and southern ritual music. It presents the migration from the North to the South of the quintessence of string instruments, said the researcher. Southern people have perfectly maintained and conserved Don Ca Tai Tu Nam Bo for tens of years, he added. Maintenance and preservation values of traditional art are not only developing and promoting for economical reasons and tourism potential, but also for their originality and to support talented artisans to keep it alive through ages, he stressed. Nguyen The Hung, Head of the Department of Cultural Heritage, said that recognition of Vietnamese heritage as UNESCO World Heritage shows the efforts put in preserving them by local authorities and communities.